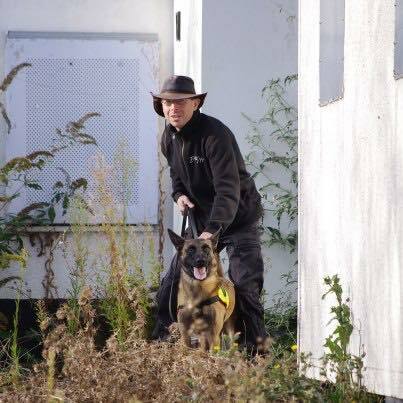 Folly is 8 years old and the 2nd oldest dog within Essex SAR. Folly is a Malinois/Dutch Herder cross. Folly is a Airscenting and Victim Detection Dog. When Folly finds the missing person, she alerts Richard by taking the Bringsel (which is attached to her collar) in her mouth and returns to Richard. Folly loves nothing more then using her nose and getting a ball on a rope as a reward.